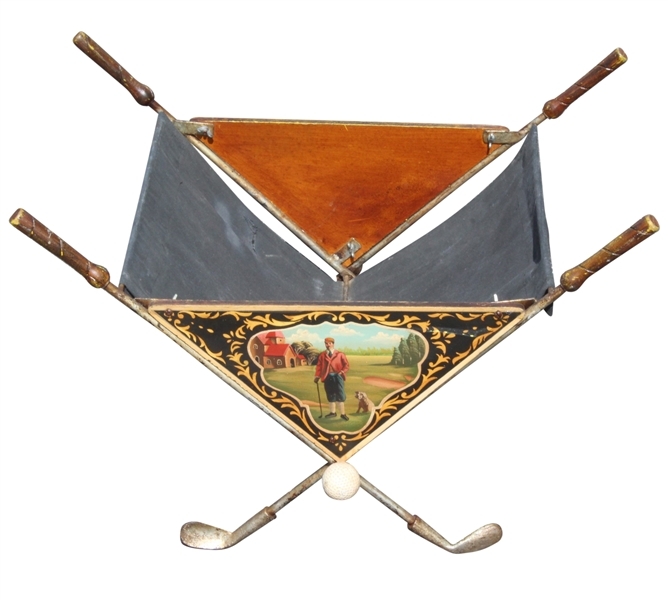 Here we have a classic golf themed golf ball/magazine holder. 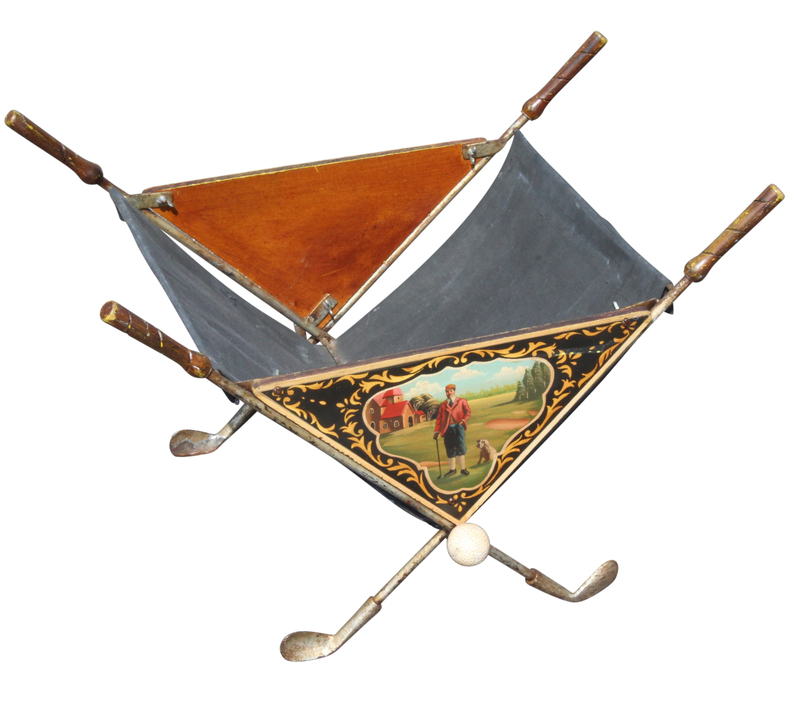 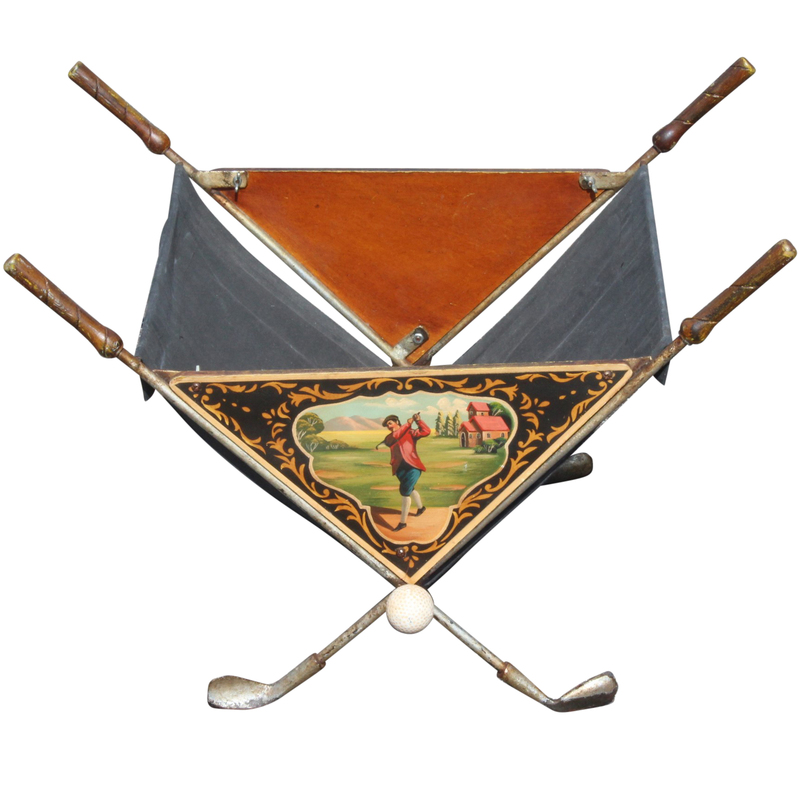 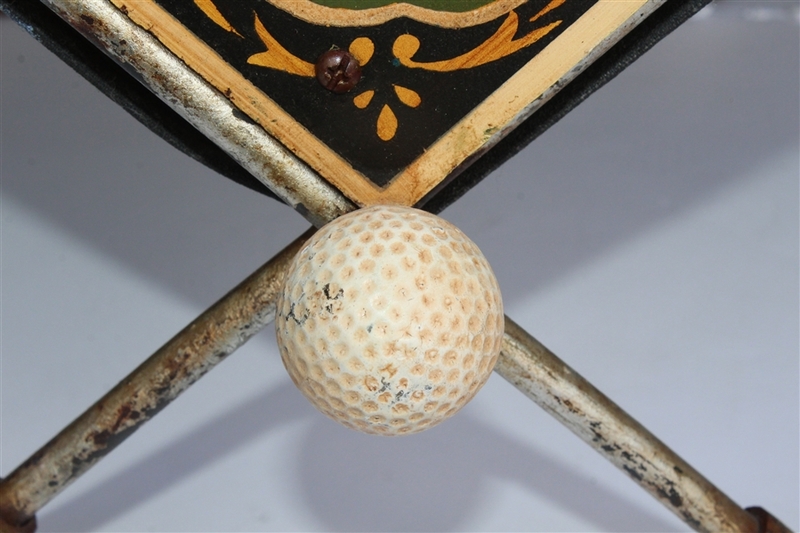 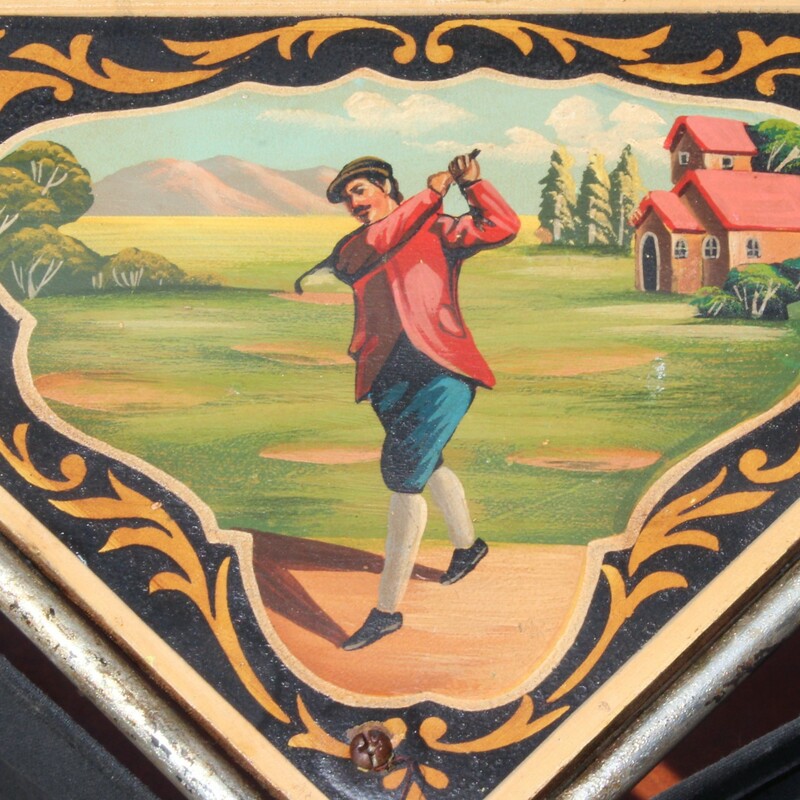 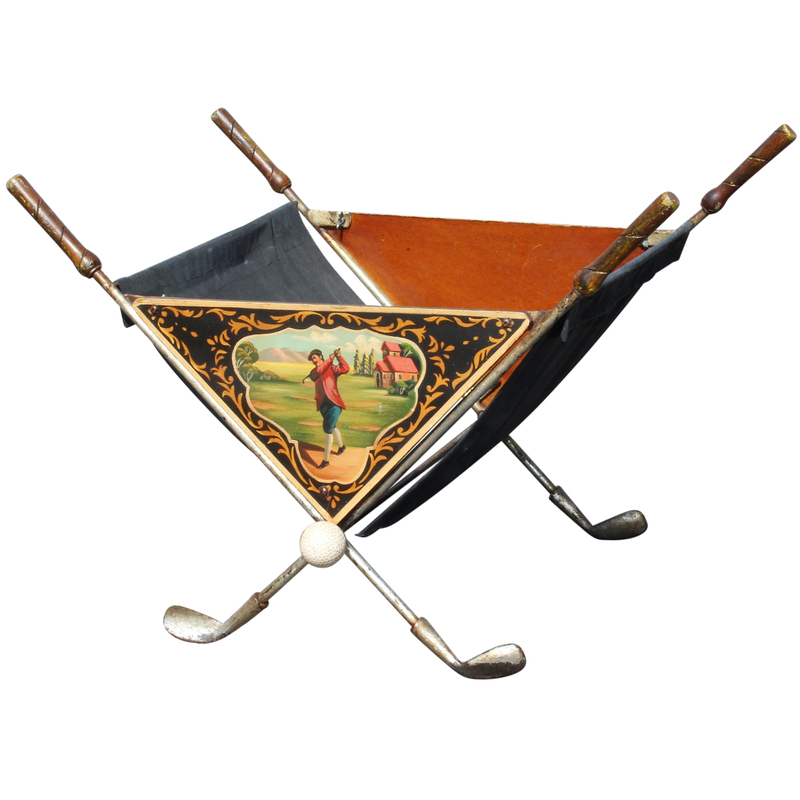 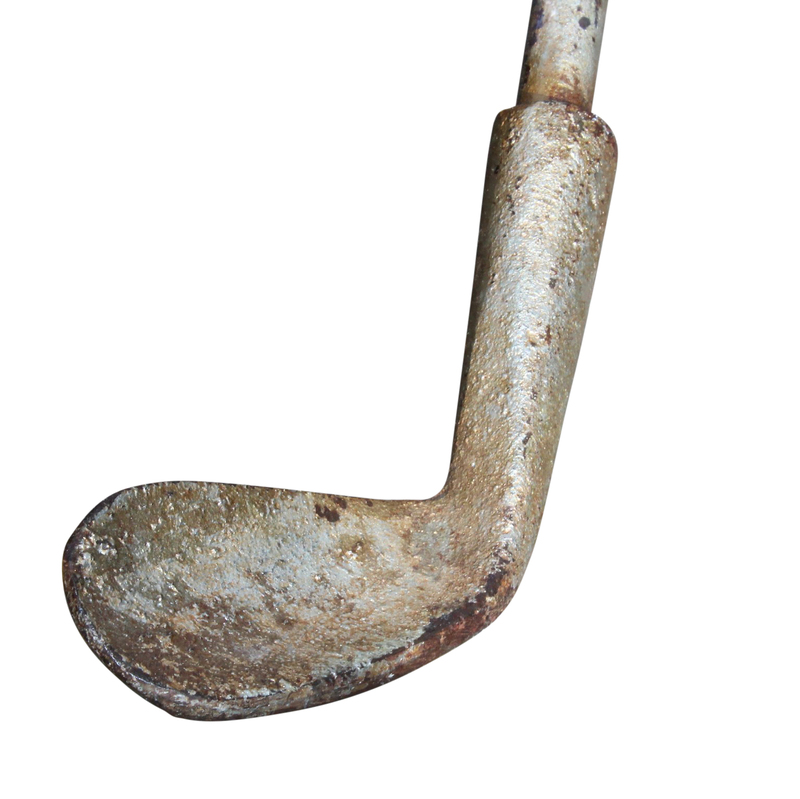 Crossed clubs make up the legs of the basket, golf balls where they cross, and there are painted golfers on each side. 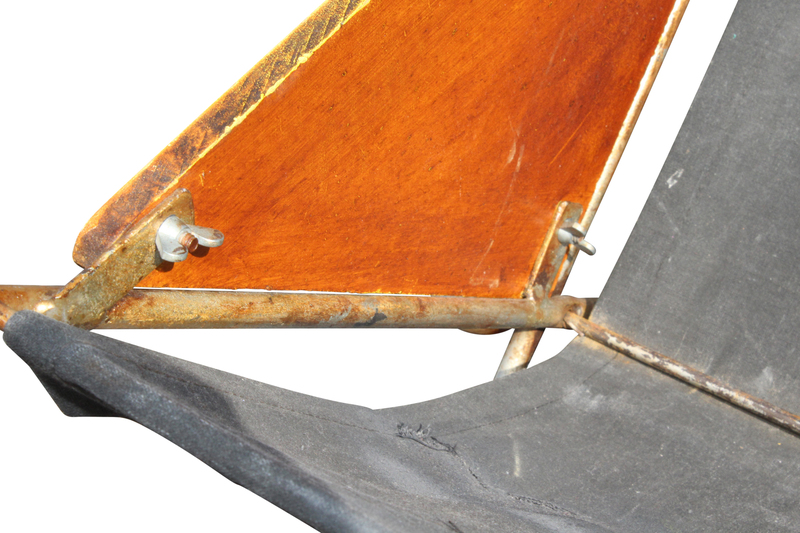 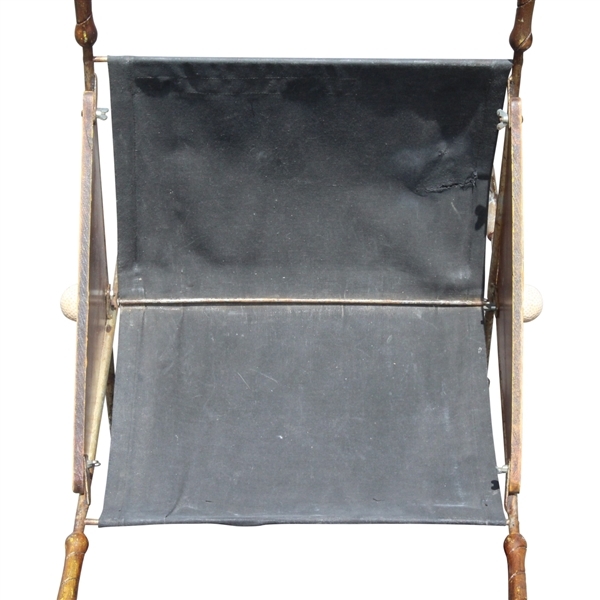 This piece is in great condition and measures 16 3/4" x 24 1/2" x 17".